Council members acknowledged the worth of AMI’s intangible benefits, in spite of the gap between costs and benefits in the break even analysis. According to a feasibility study conducted by the council, the new meters will cost approximately $7.2 million, with a +- $1 million shortfall between the AMI benefits and the $15.2 million in accrued costs over the first 10 years of the installed infrastructure. The technology will cost $9.2 million to implement and will take about three years to roll out. Reasons for the installation include achieving greater accuracy of electric bills and access to timely consumption data. And because the roughly 70,000 service turn-offs and reconnects each year will be able to be done remotely with the new meters, employees wouldn’t have to be deployed and exposed to aggressive dogs or other dangers in the field. The smart meter will reduce the effects of human error in billing reading and calculations and will minimise electricity theft through monitoring system performance. A meter data management system will also leverage the information collected from the AMI network through data analytics and enhanced customer presentation. According to Timothy Crabb , director at College Station’s Electric Utility , moving to AMI will not result in a rate increase, as the department has included money in the fiscal year 2019 budget for a large capital project. 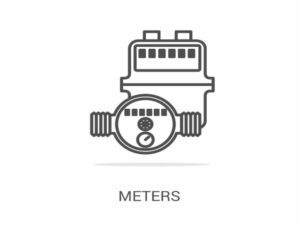 Requests for proposals for vendors and installation of the AMI meters and meter data management system will be prepared by city staff, and those contracts will be brought back to the City Council for approval at a later date.